Asia, Central - Men's clothing hangs up over tables filled with shoes and fabric. 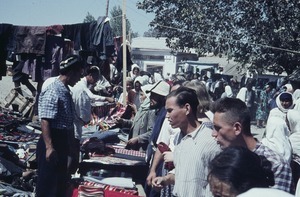 Women and men shop around the tables as young men surrounded by the goods sell. 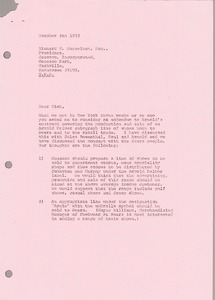 Other people, hanging clothing and a building are in the background. This may be in either Kazakhstan, Tajikistan, or Uzbekistan. 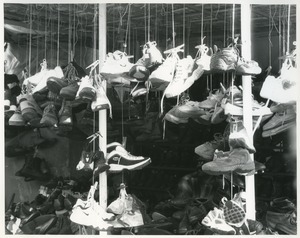 Ouarzazate (Morocco) - Shoe vendor in marketplace with shoes hung from the ceiling by their laces.